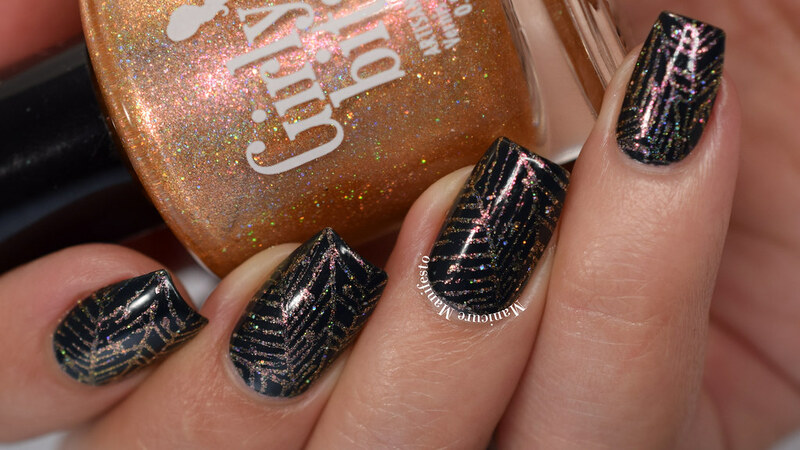 Today I have a quick nail stamping look to share with you. Girly Bits Cosmetics Butterbeer Latte was quite pigmented on its own, so I thought I'd test it out as a stamping polish. Verdict? Success! I started with a base of Zoya Hadley, a blackened teal leaning blue creme. Then I used Born Pretty Store plate BP-46 and Girly Bits Butterbeer Latte to add the stamped design. Officially, this pattern is supposed to be of leaves. 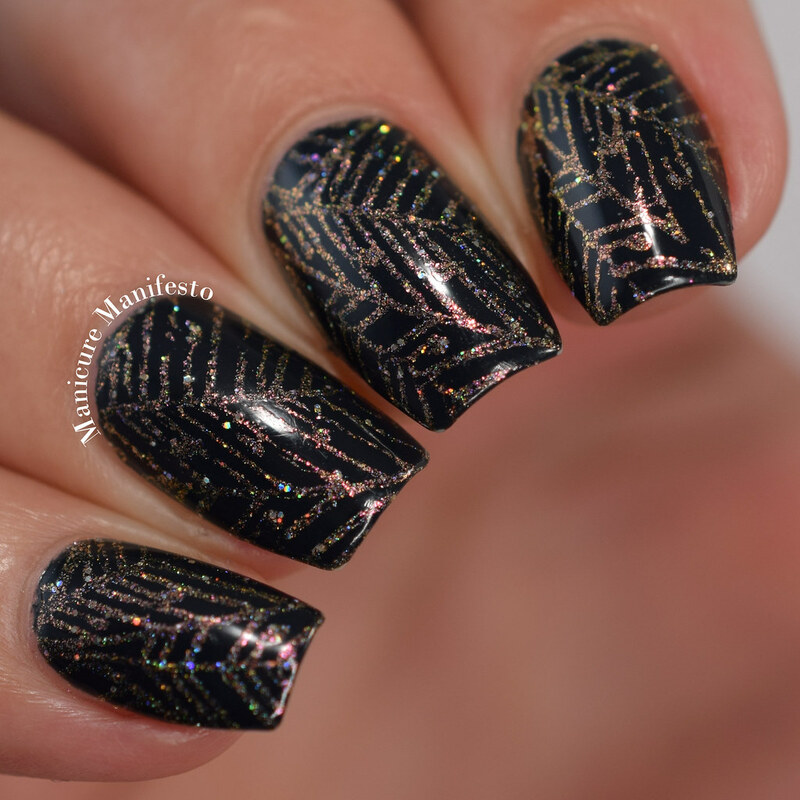 However, on my nails, it reminds me more of spiderwebs and I'm ok with that. I'm just getting a big head start on halloween. One coat of Girly Bits What A Rush top coat sealed everything up. Photos were taken in daylight spectrum lighting.